We're shaping the future of healthcare. HCTec discovers, develops and delivers dynamic people and innovative solutions to enhance patient care in an effort to shape the future of healthcare. 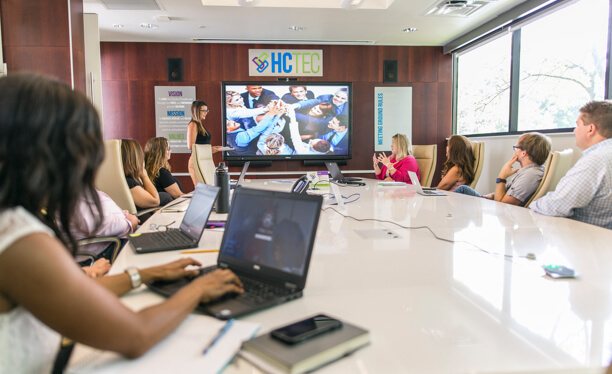 HCTec was founded in 2010 to support value-based care and better patient outcomes through innovative workforce solutions. As the healthcare industry continues to transform, we are committed to adapting and helping our clients meet their healthcare challenges head-on by delivering flexible healthcare workforce solutions. We were founded on on five core principles: integrity, innovation, excellence, people and customer satisfaction. These same principles guide us today and will set the direction for HCTec’s future. These values are what set us apart and what make us invaluable to our clients. By living these principles, we can continue to solve healthcare problems and improve the healthcare journey for patients. We demonstrate honesty, trust, and respect in all relationships. We constantly strive to find better and more effective solutions for our partners. We surpass ordinary standards in everything we do. We believe each consultant, client, employee, and partner are the heart of our business. We measure success based on outrageously satisfied clients and consultants.